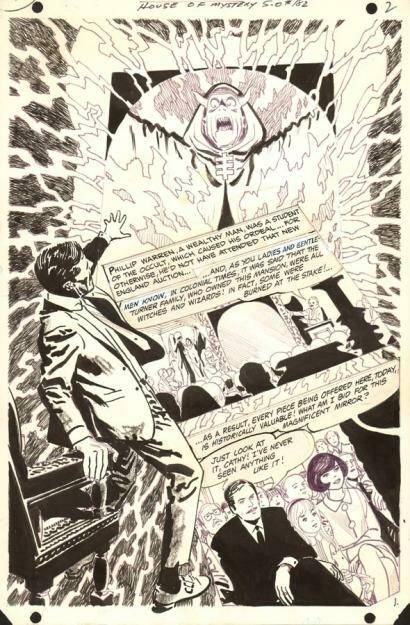 Dave Karlen Original Art Blog: Some Super Sensational Seventies Strip Surprises! 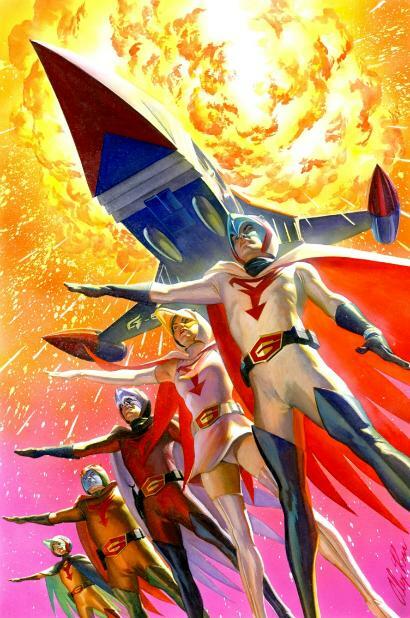 Some Super Sensational Seventies Strip Surprises! I know strip collectors that purchase only certain examples that fit their "theme," such as their date of birth, or only night scenes, snow and rain panels, certain autos, and it looks like for the images selected here, you could also collect characters with sprained left arms if you so desired. But there are a lot of deals today on strip art, from those forgotten features that never found an audience. If you're lucky, you still might be able to get some seventies prices. The best pieces offered in the Comics Buyers Guide were by two dealers who joined together for one large collection. 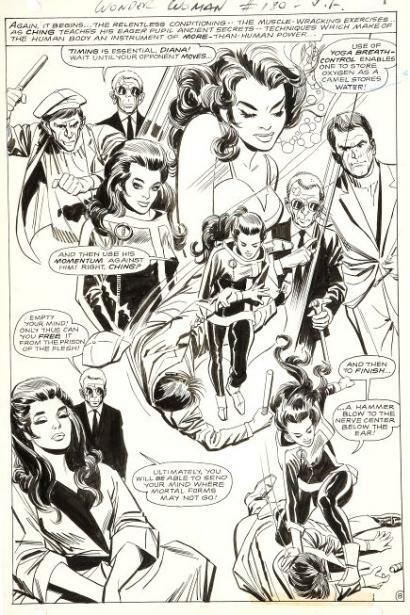 Cartoonist Representatives, Inc. of Long Branch, New Jersey, and Creative Services, in Costa Mesa, California had much of the greatest material of the time. 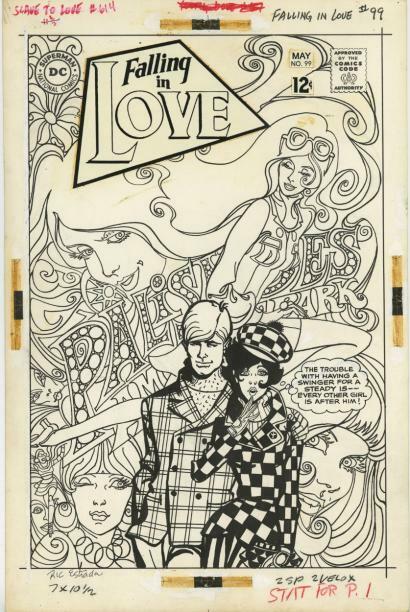 They had discovered a huge collection of originals that had everything, adventure and story strips, gag panels, editorial cartoons, humor features, all the different genres were covered. Popular world renowned strips and totally unheard of lost gems were listed side by side, but don't take my word for it just look at some of these incredible prices! Lets start off with a nice little daily like Ed Nofziger's amusing funny animal strip, Buenos Dias form 1965 offered for a mere $5, a favorite of mine since these cute little critters spoke in Spanish, with the English translation below. 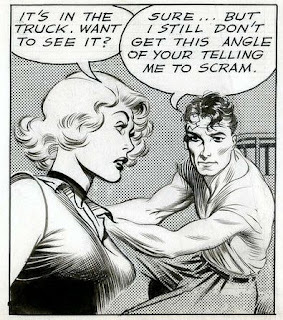 Or you could just get a wonderful 1957 Johnny Hazard action strip by Frank Robbins' for only fifteen bucks. 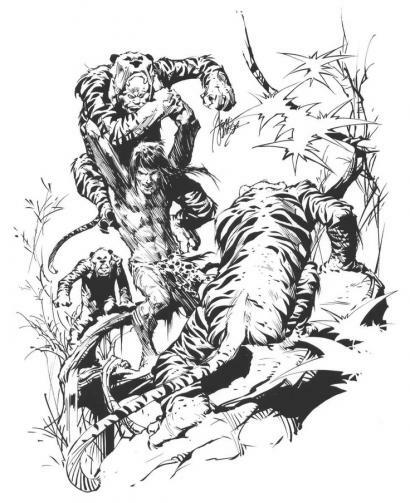 Early Bob Montana Archie dailies ran $30, which was the same price for a Bob Lubbers' Tarzan, while his work on Long Sam or The Saint could be snapped up for $10 each. Alex Kotzky's Apartment 3-G dailies would also set you back a ten spot, but a Jack Kent King Aroo Sunday from 1953 would only be twice that small amount, still very cheep all around. And don't forget to pick up some Stan Lynde Rick O' Shay dailies for $15 dollars each, since in a few years they become much harder to find due to his studio fire that unfortunately destroyed most of the originals. Hindsight really is twenty-twenty. 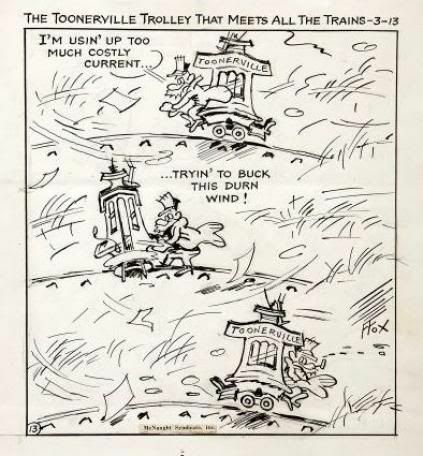 A Fontaine Fox Toonerville Trolley piece from 1951 was $80, not a bad price at all, but I would take a Frank Godwin Rusty Riley Sunday for the same price any day over a single panel strip. 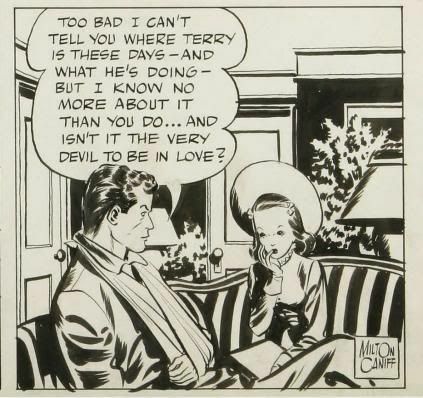 Save up for something bigger and you might get an early Milton Caniff Terry and the Pirates daily from 1937 for $250, or perhaps another terrific daily from '46 with the infamous Dragon Lady for $150, or just pop for a Terry Sunday from 8-27-44 for $175. But don't forget the Steve Canyon dailies from the late sixties priced at forty dollars each from these dealers. Time for a real deal, how about a Frank Frazetta Johnny Comet Sunday from the mid forties for the whopping sum of $120, best thing I've seen so far. But you don't have to look very far to find the real "heavy hitters" including a 1940s George Herriman Krazy Kat Sunday for $500, or a zany 1937 daily for just $200! What about one of the greatest cartoonists ever, Harold Foster, on his signature strip Prince Valiant, a full Sunday from 5-6-56 was only $475, or pick up one from his talented successor, a John Cullen Murphy Val from 1973 for $120. 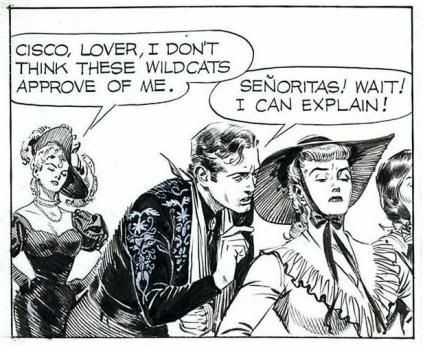 How about a wonderfully illustrated 1952 Cisco Kid daily by Argentinean artist Jose Luis Salinas for fifty bucks, or you could choose from three late sixties Al Williamson Secret Agent Corrigan dailies for $40 each. Chic Young Blondie strips were the same price, and an Al Capp Li'L Abner Sunday from 1938 would cost you $60! OK, here are the real big deals, you've all been waiting for. 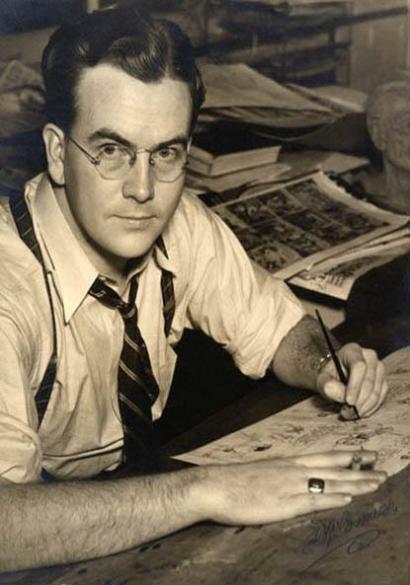 Anybody want an Alex Raymond Flash Gordon Sunday from 5-15-38 for $2900. 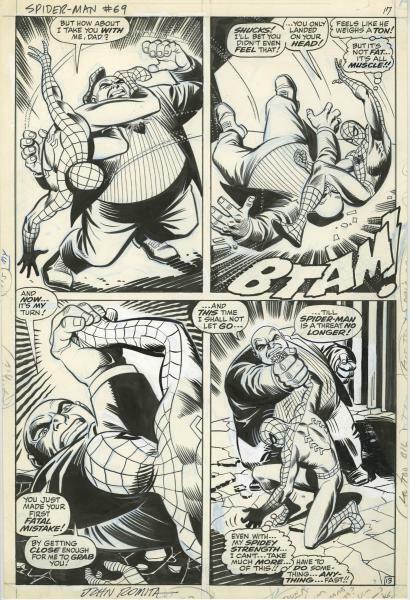 Clearly the most expensive piece in the ad, but just a steal in today's strip art market. 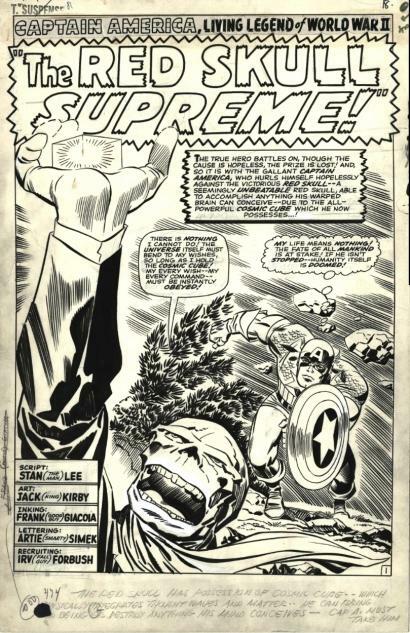 Jungle Jim Sundays were $325, and an absolutely gorgeous Rip Kirby could be yours for $90! A historic Windsor McCay Dreams of the Rarebit Fiend Sunday from 1907 was listed at $700. But the biggest deal by far would have to be the Charles Schultz Peanuts pieces, with a Sunday from 1955 for one hundred dollars. 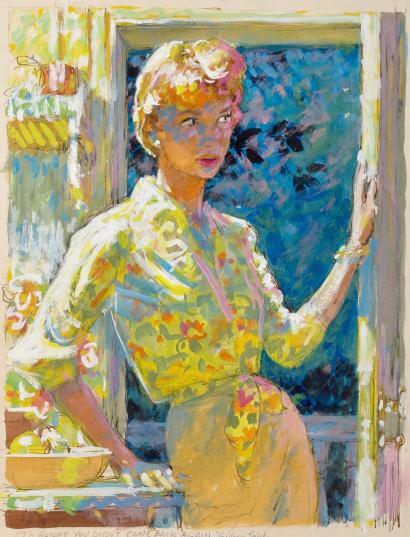 Dailies from the early fifties were shown @ $40 each, and some exceptional later sixties pieces for a mere $100 each. 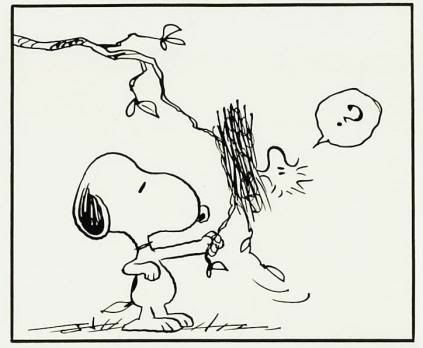 This solid 1951 Snoopy example below sold three years ago at auction for the grand sum of $40,250 for the 4 panel daily, that's $10,062.50 a panel! If you were lucky enough to buy this from these dealers,(if they had it for sale) it would have increased in value 1006% over the past thirty years. Too bad I was still reading my beloved comic strips, instead of collecting the original art for them. Snoopy looked nothing like that in 1951. Perhaps 1971? Paul, the panel shown is from the 1970s, I just like the image!